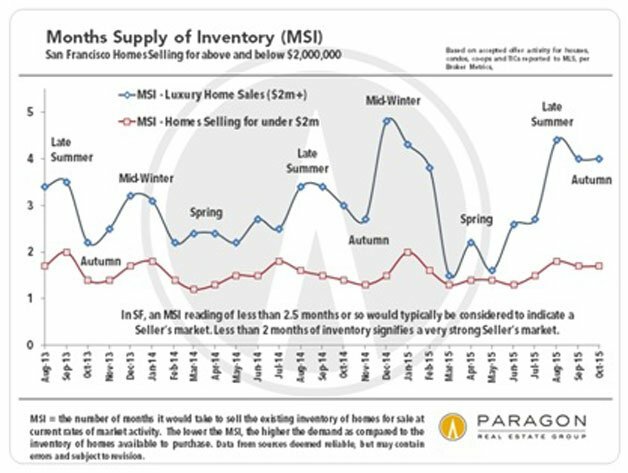 “Months’ Supply of Inventory,” or MSI, shows the theoretical number of months needed to “absorb” available homes for sale in a given month based on the number of homes going into contract in a given month. The shorter the time period, the stronger the market for sellers, leading to upward pricing pressure. Longer time periods indicate slower absorption and a buyers’ market. Below is a chart that shows how MSI has changed over the last three Octobers. 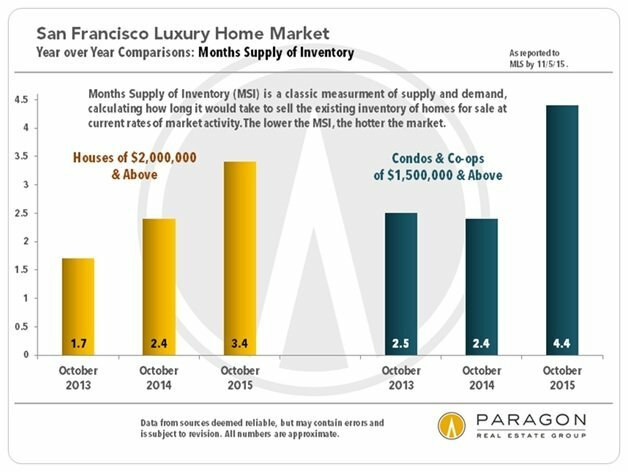 Clearly, the luxury market has been slowing over the last few years for both homes and condos. Why is the High End of the Market Stalling Out? 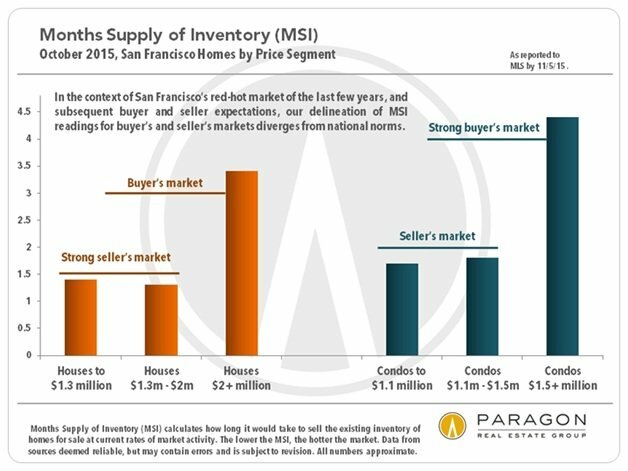 The most likely explanation for the stall in high-end condo sales is the added inventory being built and coming on line at the top end. Witness all the high-rises sprouting South of Market and along the Market Street and Van Ness Corridors. Buyers simply have more choices. To the extent that foreign buyers – especially from China — are driving those condo sales, the summer’s turmoil in Asian stock markets may also be having an effect, though this week-end’s New York Times article suggests otherwise. More generally, it’s certainly possible that sellers and listing agents have finally pushed the envelope on prices for high-end homes and condos a little too far. High prices have motivated some buyers to look at options outside the city, while other buyers have simply stopped looking due to fatigue. The slowdown at the top end doesn’t portend an imminent crash, in my view. Indeed, there are plenty of “luxury” properties selling quickly and at well above asking. It’s just that less of them are doing so than previously. In a slowing market, it’s more important than ever to price your property realistically and in full awareness of your competition. For buyers at all price points, it’s a great time to actually be out there looking! Between now and roughly March, when the spring selling season begins, you’re likely to find less competition from other buyers and plenty of sellers who are willing to strike a reasonable deal. Go for it! What happens between 2 and 3 MSI, neither seller or buyer market? It’s also worth noting that San Francisco’s MSI is far, far lower than that considered “normal” for California as a whole. According to the California Association of Realtors, an MSI of 6 or 7 would be considered indicative of a “normal” market. 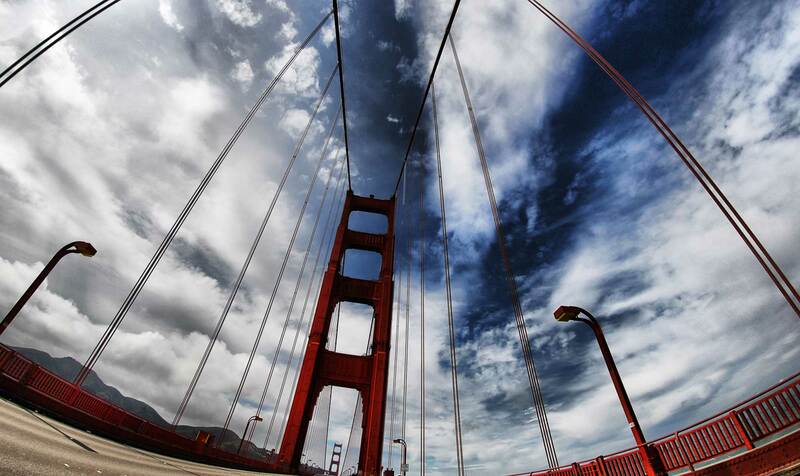 Next PostNext “Bubble” or “Breather”: Whither San Francisco’s Home Market?